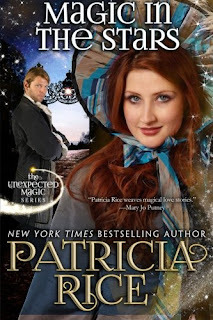 Magic in the Stars launches the new Unexpected Magic series, which features Patricia Rice’s Malcolm and Ives families. Rice has already explored these families’ lives in early Georgian England and in our contemporary world. Now we move to the end of the Georgian era with a story set in 1830. Lady Azenor “Aster” Dougall is a talented astrologer who lives in exile from her family because her star charts show that she poses a danger to those she loves. The charts are reinforced by the death of a younger sibling in Aster’s arms. As the story opens, she comes to Iveston Hall, home of the Marquess of Ashford, a distant relative, with a grim warning. The marquess is not at home, but his younger brother and presumptive heir, Lord Theophilus Ives, admits the visitor. In introducing Theo, Rice also introduces his boisterous but charming pack of brothers and half-brothers. Theo wades through them to greet the unexpected guest. As is usual with a Rice heroine, Aster has a great deal of poise. Entering a hall where young men wander about dressed so casually as to be slightly improper and dogs have the run of the place doesn’t rattle her. She delivers her warning in the face of Theo’s skepticism. As an astronomer, Theo considers himself well versed in all true science about heavenly bodies and scoffs at Aster’s prediction. He does warn his brother, however, but in vain. The disaster that befalls the marquess puts Theo, as heir presumptive, in a difficult spot. He’s an astronomer with plans to manufacture new glass that will improve magnification in telescopes. Estate management has never interested him but has now become his duty. Because the marquess is not married, the begetting of an heir falls now to Theo, who figures that he may as well find a bride who can manage the estate. Then he’ll have time for manufacturing his glass and studying the sky. In desperation, assuring Aster he doesn’t believe in astrology, he asks her to use her charts to find a “useful” woman. Aster agrees to help him, ignoring her own attraction to him as he is ignoring his to her. Aster helps Theo arrange a house party consisting of suitable women at Iveston Hall. Before the party is to begin, however, she goes there to start putting the house to rights. Prior Ives fiancées have decamped in haste, and the disarray of the house is one reason. As Aster works on the house, the attraction between her and Theo grows. Her astrological charts say they are compatible, but she resists because the charts also warn that she’s a danger to anyone she loves. She even plans to move her companion to a new job because they’re becoming attached to each other. Yet she cannot quite resist Theo, who loses interest in pursuing anyone else. Rice skillfully weaves issues of the period into the story, such as the hostility of farm workers to machinery and land enclosures and the concern for children working in dangerous jobs in textile mills. The workers’ anger provides an escalating threat and leads to a fiery confrontation in which Aster uses the agitators’ suspicions against them. I’ve known Patricia Rice for some years and would have passed on reviewing this book if I didn’t feel I could do so fairly. After reading it, I found it to be what I expected, an interesting plot with engaging characters, sizzling attraction, and a fully textured world. Aster and Theo are a charming couple it’s impossible not to root for, and the story held me all the way through. Nancy, your 5-star assessment of this sequel tempts me to move it up the list. Although part of me signals that astrology is a nonsense subject, another part signals that perhaps main stream science doesn't have all the answers either. Many years ago when I read the Financial Times, the finance astrologer was always a favourite read. I reckon his predictions were nearer the truth than those of more kosher analysts. Sadly the paper dropped him due to complaints that the paper shouldn't be publishing such tosh! At a time when cosmologists desperately struggle to understand the expanding Universe and admit that we have no idea what most of it is ... calling it 'dark matter' and 'dark energy' ... one should perhaps be cautious about dismissing the more magical pseudo science of astrology. Quantum, I'm not a big fan of astrology either, though I always read my horoscope when I run across it. Part of what I liked in this book was the astrology-astronomy conflict. Without giving anything away, I can say that each influences the other at the end in a way I thought was pretty cool. Well, sounds like an interesting read to me - thanks. This sounds like a really good book. Thank you for the review. 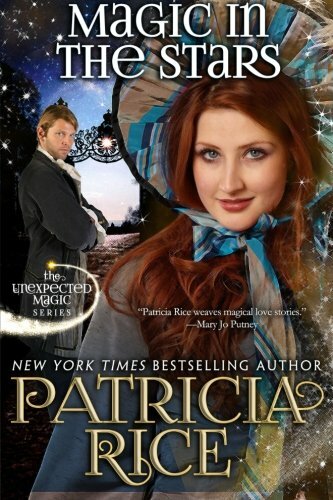 I have enjoyed her books and look forward to adding this one to my TBR list.